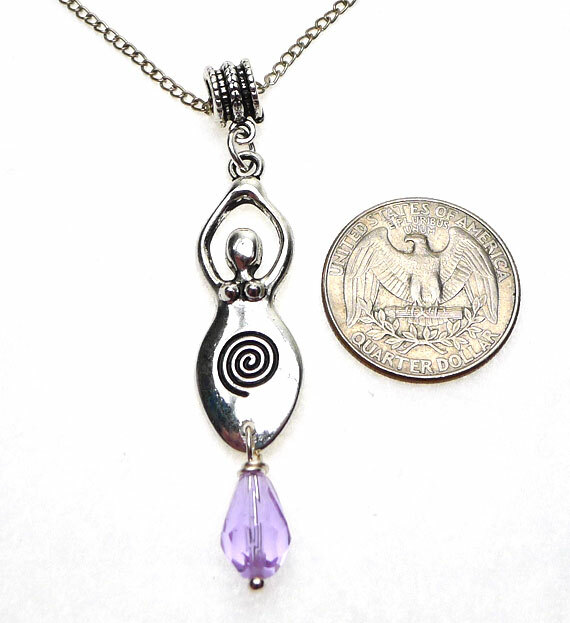 Crystal Spiral Goddess Necklace - Tibetan Silver Bailed Spiral Goddess with a lovely light purple Crystal dangling beneath - on a Silver Plated Necklace Chain. All components are lead-free and nickel-free. 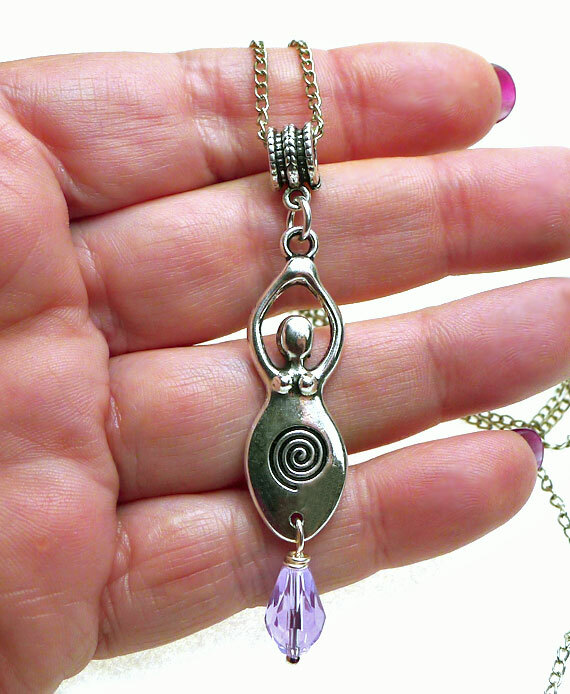 As these Goddess Necklaces were hand-crafted, please expect slight variations. The Sacred Spiral - An ancient Goddess Symbol, the spiral represents the universal pattern of growth and evolution; eternity and continuity. 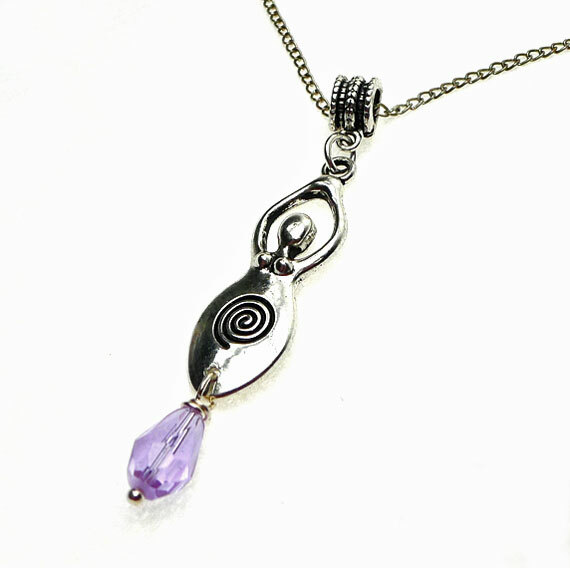 For many the spiral is a symbol that represents innocence, rebirth, and the eternal. 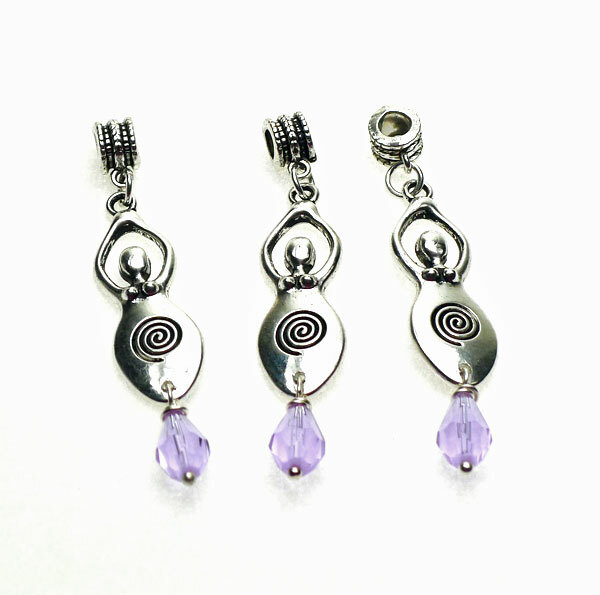 Purple’s rarity in nature has given purple a supernatural aura for centuries. 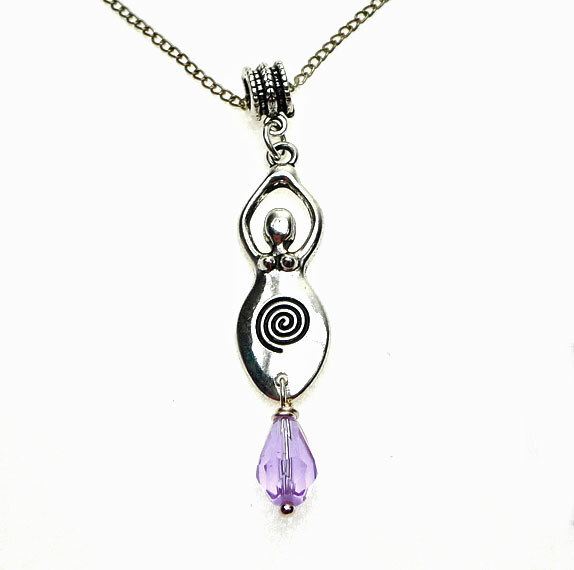 Purple symbolizes magick, mystery, spirituality, the subconscious, creativity, dignity, royalty – and it evokes all of these meanings more so than any other color.